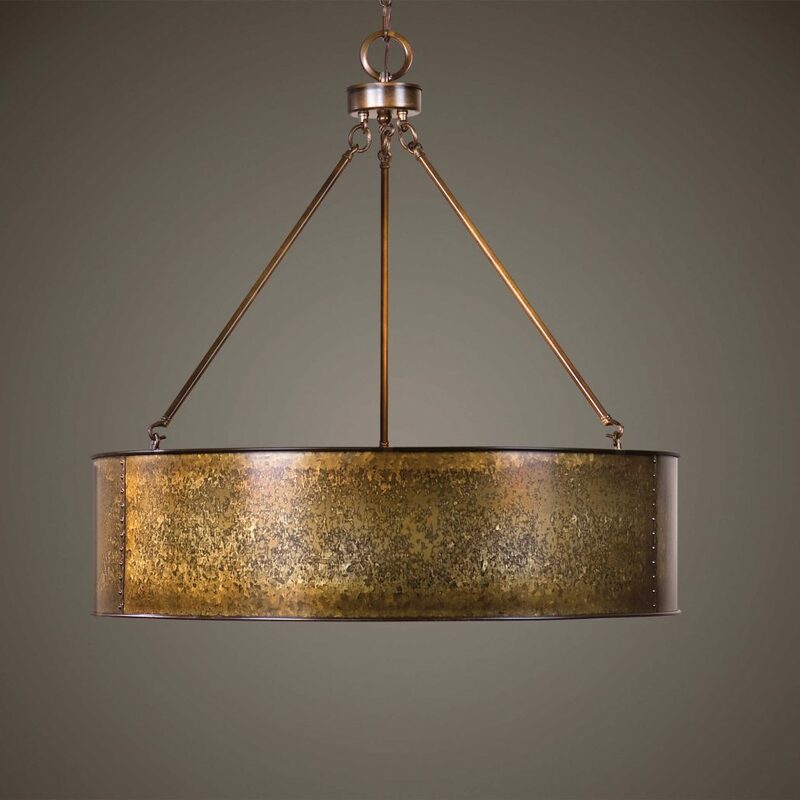 Designed by Carolyn Kinder International, the oversized Wolcott 5-Light Golden Pendant blends with every look from rustic to contemporary. The beauty of our golden galvanized finish stands out with clean lines and rolled edges. Dimensions: 33 H X 30 Dia. (in); Weight: 25 (lbs); Includes 5-60 watt ST64 antique look bulbs. Available to trade professionals at Uttermost.com. For retail purchase Google keyword “Carolyn Kinder Wolcott 5-Light Golden Pendant”.